The characters are interesting and fun to read about. There’s the normal guy with super(-stepping) powers; the cantankerous and brilliant inventor; the tough frontierswoman; and of course the Tibetan auto mechanic reincarnated as an omnipotent distributed AI system. After the initial splash of brilliance, I thought the first book got a little bit slow towards the end. The second and third both picked up the pace with more fun ideas — I read them on the trot. There’s a lot of exposition, unavoidable in SF as all the new concepts have to be introduced and explained. 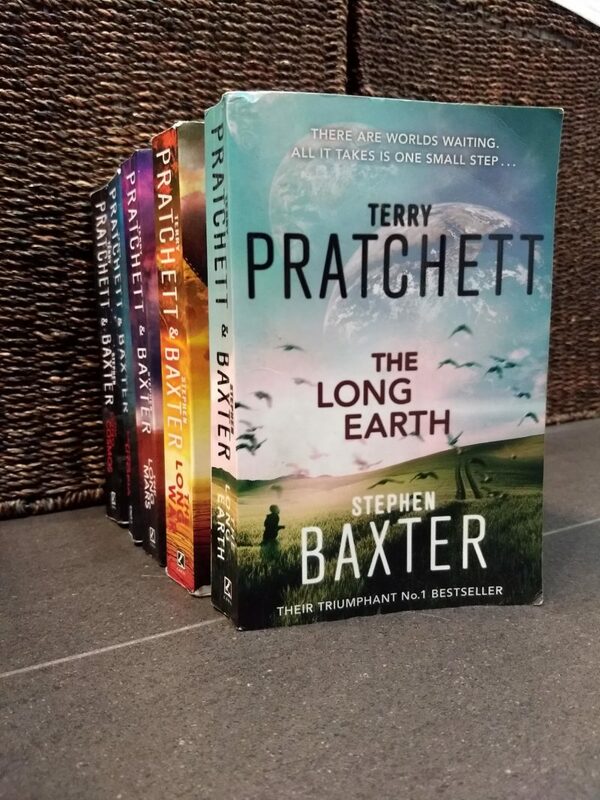 But the writing is mostly pretty snappy and there are touches of Pratchett humour gently sprinkled throughout. I haven’t read the final two books in the series yet — I’m taking a little break. But I will read The Long Utopia soon, and if it’s as good as the others then I will pick up The Long Cosmos straight after that. 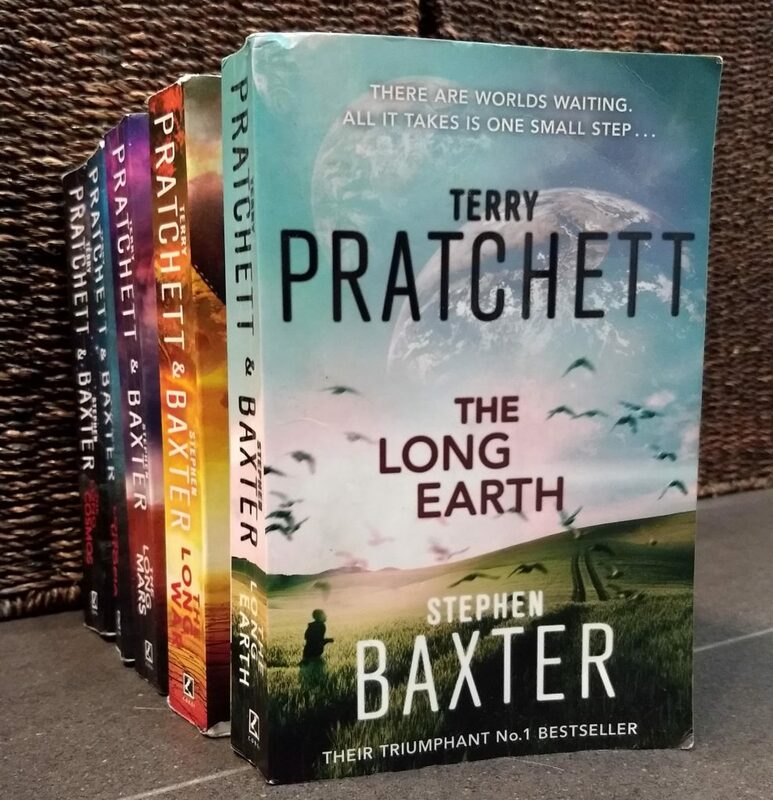 This review is about books, novels, SF, Stephen Baxter, Terry Pratchett. Bookmark the permalink.